Perfect for long hauls and heavy loads, the 5-speed Sambar Dump Truck!! 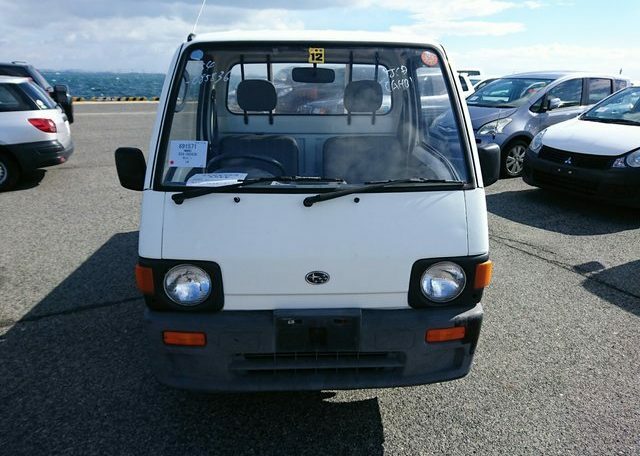 The Subaru Sambar is the most unique Kei mini truck out there, and there are plenty of great condition ones available for purchase daily at the Japanese dealer auctions. Subaru has always been a leader in vehicle design and was the first Japanese auto maker to produce small, affordable vehicles for middle-class families back in the forties. 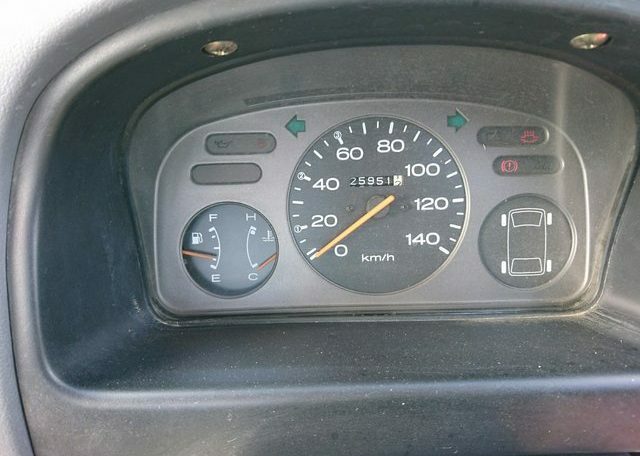 Skip ahead when Kei laws were changed in 1991 and Subaru kept their lead with the Sambar design. 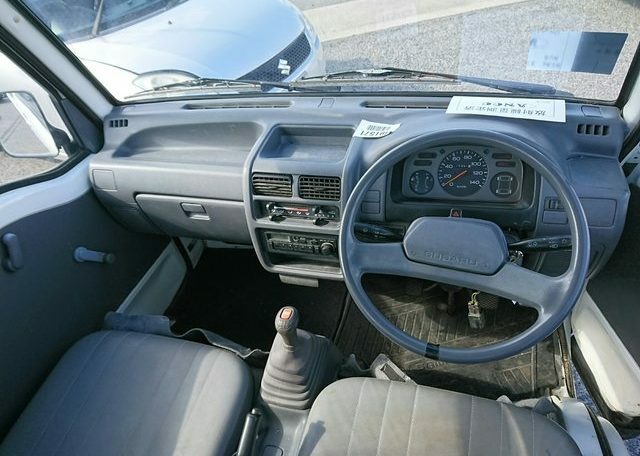 From the outside it may seem like an ordinary Kei truck, but take a closer look and you will find decades of engineering prowess that makes this machine so remarkable. 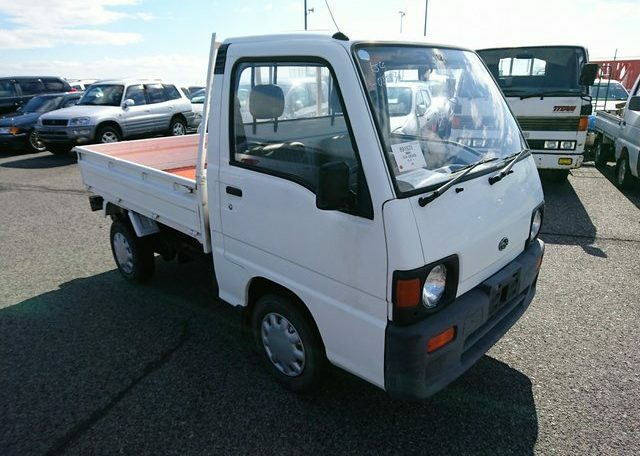 It is the only Kei with a 4-cylinder 660cc engine. The EN07 engine produces 40HP @ 6500rpm which puts it on the more powerful end of the spectrum for this generation of mini trucks. And unlike other Keis, this engine is mounted in the rear of the truck. It is one of the first to offer a super charger and inter cooler package as well as fuel injection. The super charger package boosts the horsepower to 55 which rivals modern Kei trucks. It has independent suspension so it is not the best Kei for a lift kit, but the suspension and the rear end weight due to the engine placement gets more traction and makes the Sambar better suited for snow plow use. It produces 5.5kg-m @ 3500rpm of torque. 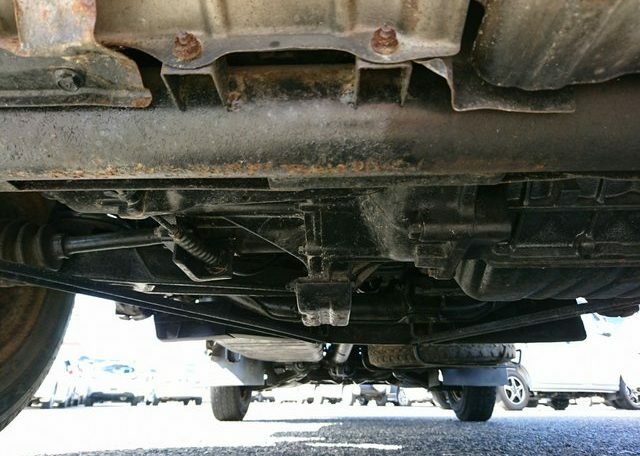 Rear diff lock was an available option and the rear wheel weight combined with ventilated disc brakes provides better traction and braking power in any condition. The Sambar is perfect for highway driving, hunting, or work on the farm. The cargo bed measures 6’ x 4’ x 11” and the gates fold down on all sides. There is also a cargo rack on the back of the cab with holds to fasten long planks, pipe, or glass. 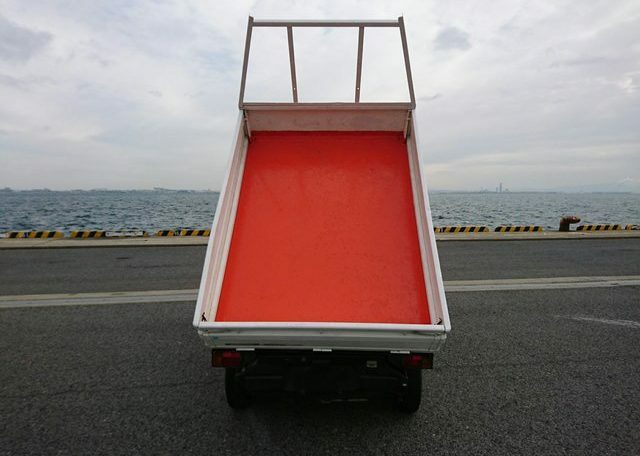 A top access panel to the engine is at the end of the bed and Sambar also has an additional access panel just below the tailgate. 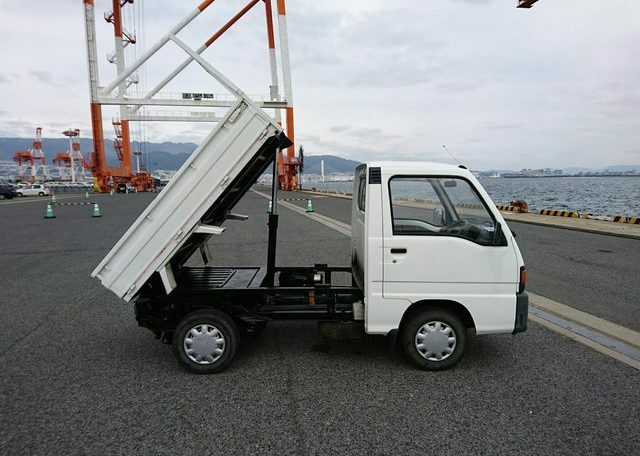 It is the only Kei truck with two engine access points. The dump version is powered by an electric-hydraulic system and has a load capacity of over 770 pounds. At 10’8” x 4’6” x 5’9” and 1,628 pounds the Sambar is standard Kei size, and just a bit on the heavy side. The rear axle location of the engine keeps the cab quieter and cooler than other Keis. 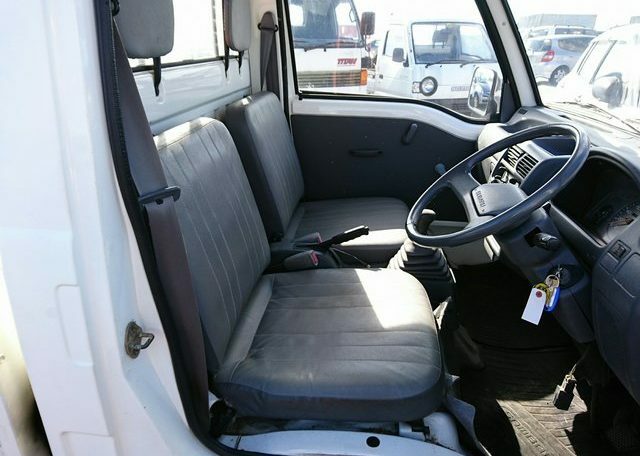 Since the engine is not under the seats like other makes the seats sit a bit lower, giving the driver more head room. 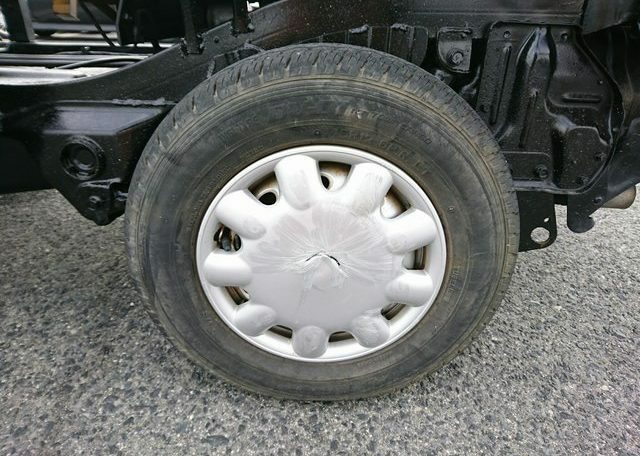 A popped roof option was also available. 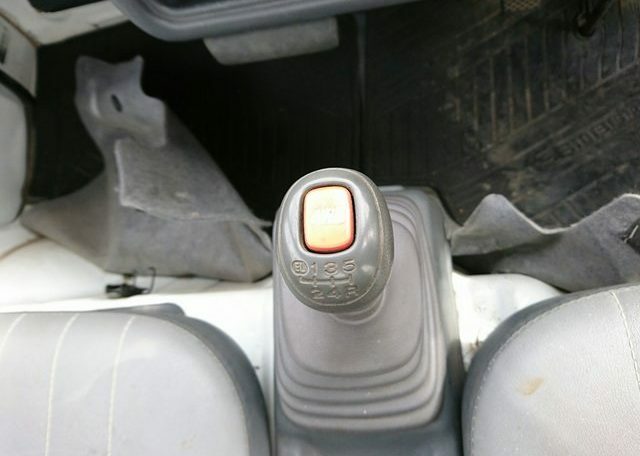 The Sambar has optional AC and push button 4wd is located on the shift knob. 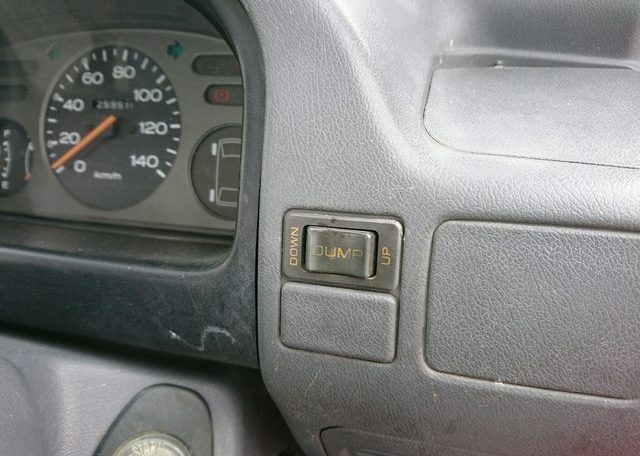 The dump switch is on the dash so in inclimate weather you don’t have to go outside to use the dump. If you are having trouble finding the brake or washer fluid reservoirs, they are behind the driver side air vent and below the passenger seat, respectively. All these features make it a great all-around utility vehicle. 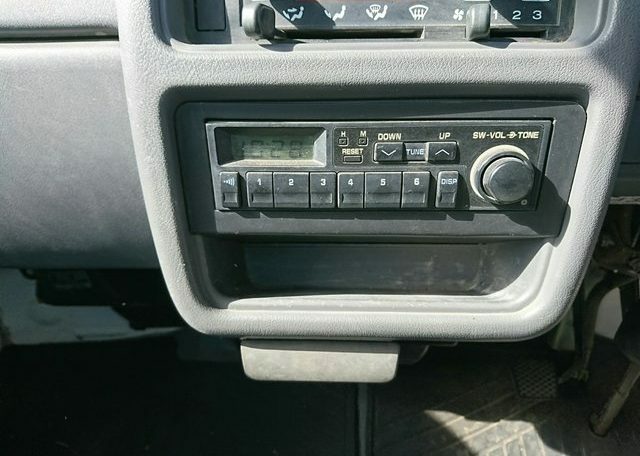 This particular dump is a 4wd 5-speed SDX model. 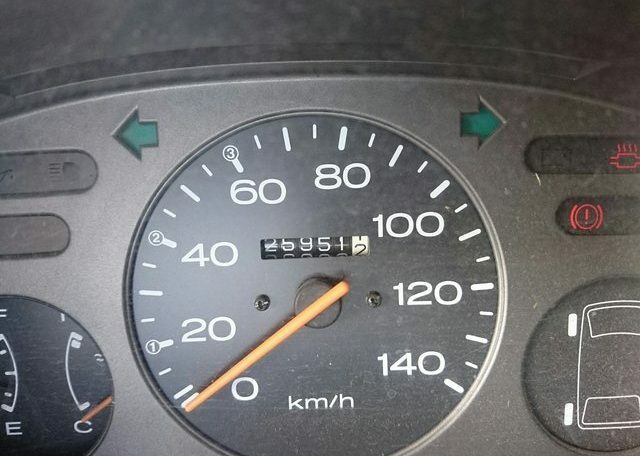 The mileage is true at an astonishingly low 16,000 miles. The interior, and especially the seats, are in fantastic condition. 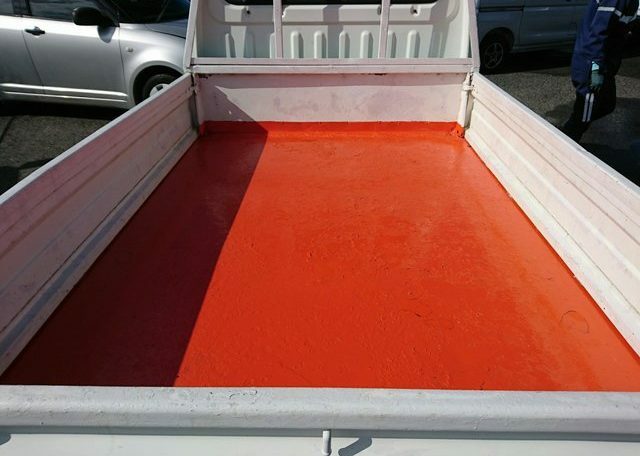 The chassis and underside of the dump have been cleaned up and coated with black rust retardant, and the cargo bed has been coated with a rust, and scratch proof orange acrylic paint. This Sambar was born and raised in the southern island of Kyushu, known for its mild climate and slow country driving. 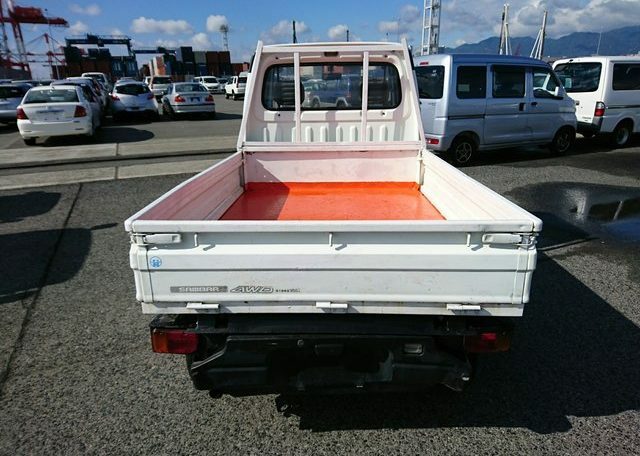 Each vehicle Japan Car direct exports gets thoroughly inspected to confirm its condition so you can rest assured that you will get a great truck when buying from Japan. 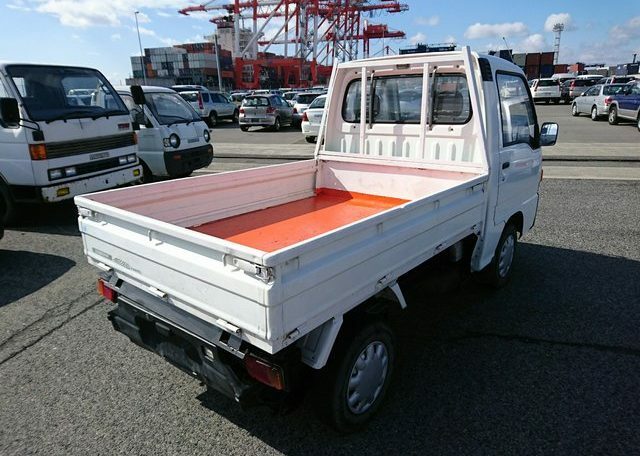 This Sambar was another good kei mini truck scored at the Japanese used car auctions! All 25 year old vehicles can legally be imported to the US and Australia. Even newer models can be imported to Canada and the UK. Contact us today for more details. Please come and join our Vehicle Search Engine for free. Over 150,000 vehicles at auction weekly, plus thousands more on dealer lots. Let’s find the ideal car for you today!! !